Homeowners use electricity every day, but rarely see the wiring that lets the coffee pot brew, refrigerator run and the cell phones charge. Wiring defects are quite common. And while some of them are more of a nuisance, such as a breaker that trips every time the vacuum cleaner is plugged in, some are serious hazards. 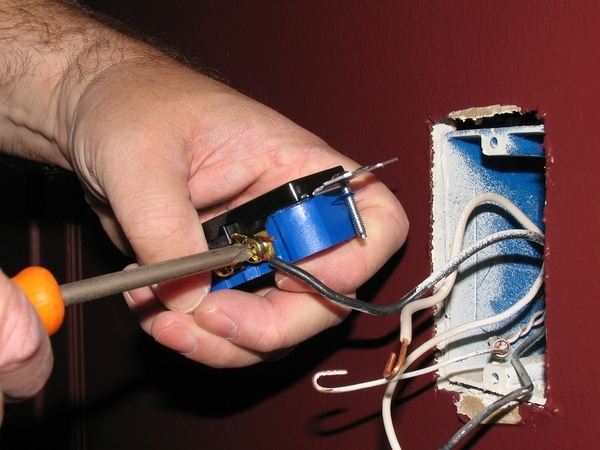 You’ll see some pretty amazing wiring defects in your career as a certified home inspector. Here are four with a high potential for starting a fire. Wire gauge is noticeably heavier for a kitchen range, electric clothes dryer and a heat pump. But subtler differences exist between circuits, depending on the job. Wire gauge tells you whether the wiring is appropriate for the circuit. If it’s too small for the job, there’s a fire hazard. The AWG or American Wire Gauge index indicates the diameter or heaviness of residential wiring. The smaller the number, the heavier the wire and the more current it can carry safely. If the wire is too small for the electrical load, electricity meets resistance in the wire, which creates intense heat. Here’s how different gauge wires are usually installed in homes. 14-Gauge: 15 amps, found throughout the home. Commonly used for receptacles and light fixtures in areas such as living rooms and hallways. 12-Gauge: 20 amps, also used for receptacles and light fixtures but for a heavier load. Often required for bathrooms and kitchens. 10-Gauge: 30 amps, used for household appliances such as electric clothes dryers and window-mount air conditioners. 8-Gauge: 40 amps, used for large appliances such as the AC system and electric kitchen range. 6-Gauge: 55 amps, used for air conditioners and electric furnaces. Just as different wire gauges are required for different circuits, the breakers must also be compatible. If the wire is too heavy for the breaker at the panel, or the circuit has too many receptacles for the breaker, the breaker will become overloaded and trip. If for some reason it doesn’t trip, it can start a fire. Here’s a basic guide for which breaker amperage is compatible with which wire gauge on a 150-foot run of wire. For a longer run, the breaker should move up one size. Larger appliances, such as a kitchen range, that use heavier-gauge wire need a different type of breaker. Double-pole breakers look like two that are connected in the middle and they generally take up two slots at the breaker panel. Double-pole breakers have one switch. Wire nuts come in a wide range of colors and sizes for different jobs. Two wires stripped at the ends and twisted together can continue a circuit, but the bare copper needs protection. Wire connectors, often called wire nuts, come in different styles. 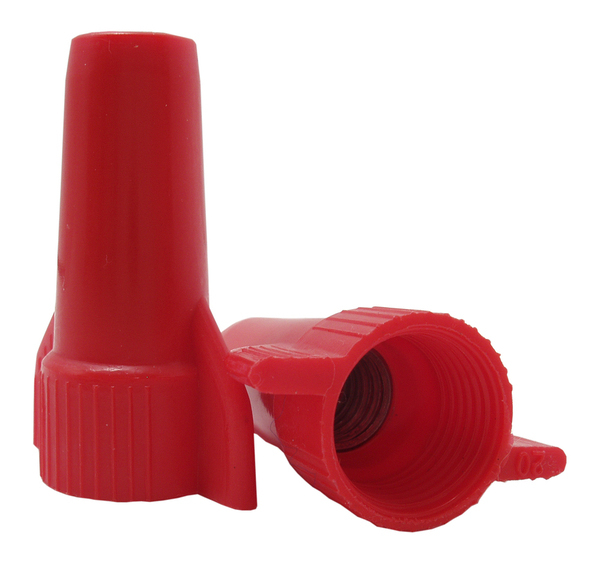 The most common in residential wiring are small, plastic cone-shaped caps that twist onto the bare copper to insulate it. You might see bare connections, which are an obvious hazard, and you might also spot a DIY job wrapped in electrical tape. Without an approved wire nut or another approved connector in a size that’s appropriate for the wire gauge, the connection isn’t safe. When the lighting in a room is too dim, the simplest solution is to swap out the bulb for a higher-wattage one. A light bulb, whose proper name is really “lamp,” can produce a tremendous amount of heat. If the light fixture is rated for a lower-wattage bulb than the one that’s, it’s a fire hazard. Higher-wattage bulbs can “scorch or melt the socket,” says This Old House, which can burn off the wire insulation. Fortunately, this is an easy fix, at least if overlamping hasn’t yet caused any damage. All the homeowner needs to do is swap back to a lower wattage bulb. If more light is necessary for the room, they’ll need a new fixture that’s rated for it. The list of possible electrical wiring defects is long and can sometimes surprise even a seasoned certified home inspector. You never know what you’ll find. An old house built at the turn of the century might have an impressive, fully modern rewiring job. And a house built two years ago could have an array of defects that don’t just annoy the owners, but also put them in danger. Wiring hazards aren’t just dangerous because of the fire risk. They’re out of sight, so defects can lurk almost anywhere. If you’re ready to start a new career that arms buyers with knowledge about their dream home, enroll now and get started today. Do You Need a Home Inspection License?